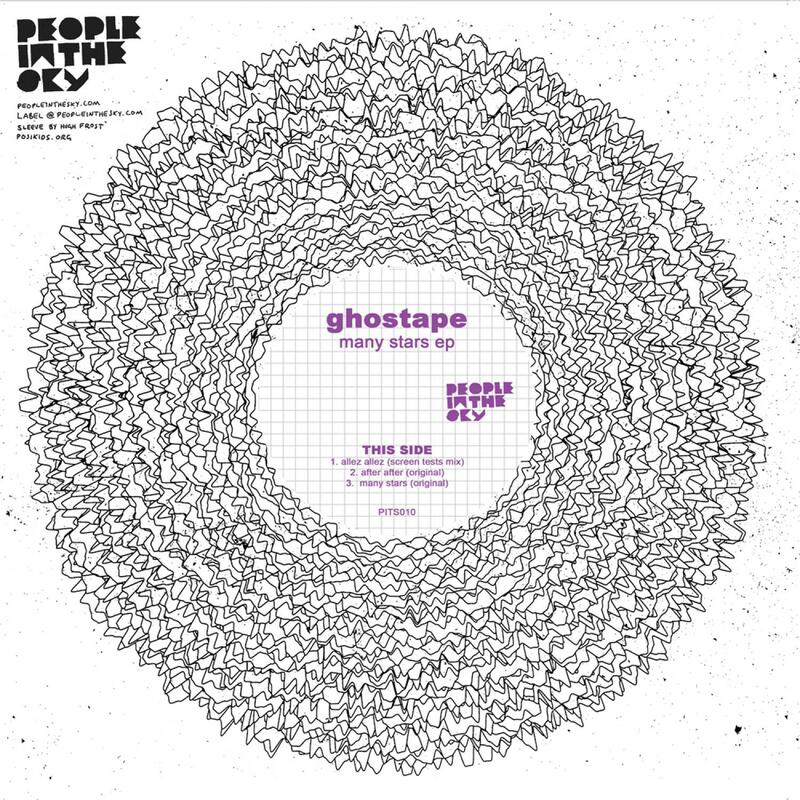 To finish off what has been a good year for us on paper, (as we watched our favourite sons Friendly Fires fly off to XL sponsored glory, and the mighty Plugs and Wax Stag keeping the PITS flag flying) we’re pleased to end on a high, with the debut ep from Ghostape. Although, it's been kind of complicated dealing with Swiss producer Gabs, AKA Ghostape, over the last year or so. He speaks about three languages, we speak at least, uh, one, it’s just that none of them were shared tongues. So we'd send him an e-mail asking where the masters were or something and he'd be like, "Thanks, yes, it's great. Let's do it. Whooooop - Gabs ;-)". And so another few months would drift by and not much would happen. But eventually things started to fall into place. 'After After' got finished, with it's motorik rhythm and electronic bass pulse throbbing away under Gab's picking guitars, mad yelps and shamanic whispers. 'Many Stars' started to shine. Its’ simple, haunting song and longing chords given some electronic fizz by Gabs and his friend Plastic Du Rêve. 'Allez Allez' turned up: an alt. disco slow burner that emerged from a collaboration with Danish producer Screen Tests, and rightly lead track here. The Marco Tulio Thrash mix of 'Many Stars' came late, opening up with a trippy organ riff and a sparse machine rhythm, before slowly morphing into something that sounds like Adonis trapped in a lift with Metro Area, whilst Martin Hannett pushed the buttons. The STE mix of ‘Many Stars’ came last and was big and broken beat and glitchy and widescreen. to make an album with him. But with our inter-communicational skills as they are, it could take some time.